If you’re reading this having just created your first blog, well done on taking that first step. 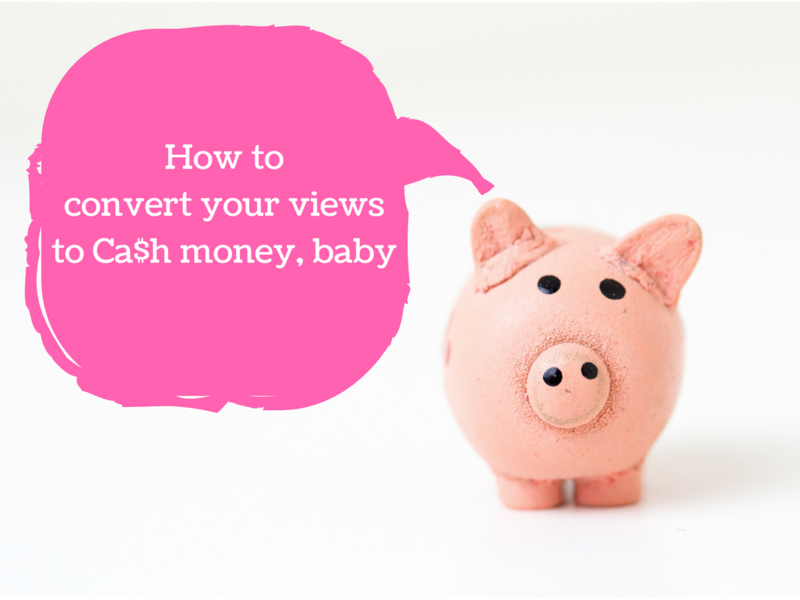 You’re probably now at the point where you wonder how on earth this blog is supposed to churn out money – don’t worry, I’ve got you. If on the other hand, you have amassed a healthy blog following, and you’re now wondering if there’s any way at all you can earn from your efforts – don’t worry, I’ve got you too. Before we get into the juicy details, if you haven’t already got the following plugins on your blog, please install them now. I’ll explain why shortly. An analytics service such as Google Analytics (free) or Mixpanel. This is basically the online version of the “How did you find us” section of customer onboarding questionnaires. It helps you count how many blog visitors you have had, and where they have come from. Many bloggers create and sell their own products on their blogs. Digital products seem to do quite well on blogs with healthy followings, as sales can be automated and can easily become a passive income stream for the bloggers. In July 2016, Pat Flynn of SmartPassiveIncome made over $7,800 selling his eBook alone in Kindle, PDF and audiobook formats. Incidentally, I’ve noticed that products which seem to be a hit with blog followers tend to be business improvement based. If you’re able to offer a product which helps people work better or more efficiently, you’re more likely to sell. The spectrum includes SEO courses, blogging tuition courses, management courses, books, themes, graphics, plugins and even ready made websites.